What is it about a plate of pasta? It satisfies some very basic food needs around here. It must be the carbs, although I’m perfectly happy when the dish has more vegetable components than noodles. Maybe it’s the fact that making pasta allows for a variety of components to be in harmony. It’s one dish, with sauce and vegetables and sometimes protein all making merry without the need for a bunch of fiddly sides. And it seems like recently, I’m unearthing the most interesting and unusual recipes. They take pasta completely out of its comfortable Italian roots, and treat it just like any other global noodle. 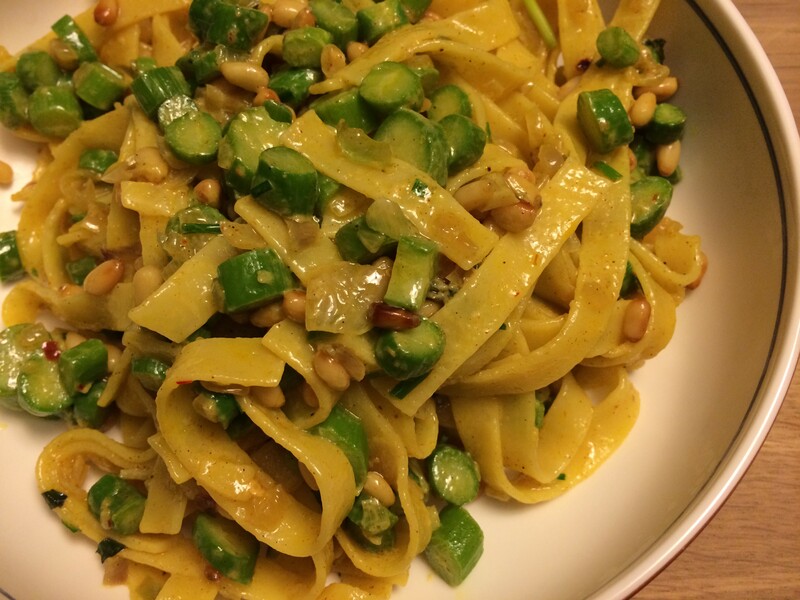 Like this dish, which pairs wide pappardelle noodles with saffron and a medley of spices to create an end result that tastes vaguely Middle Eastern…or Singaporean…or who knows what? All I can tell you is that it is so darn good. The asparagus adds the perfect bite, although I can imagine this being equally good with little rounds of green beans, or peas. I feel a sense of urgency with getting this recipe to you, what with asparagus season ending soon. Say it ain’t so! So, without any further roundabout introduction, here you go. Side note: I’ve gotten multiple emails asking about gluten free options. I’m no expert in this territory, but I certainly don’t see why this and many other recipes couldn’t be made with gluten free pasta or grains. I’ve heard good things about quinoa pasta, for one. If you do decide to mix things up, let me know how it goes! I’d love to include that information in future recipes. Place a large pot of water over high heat and bring to a boil. In the meantime, use a mortar and pestle to crush the saffron and salt into a fine powder. Set aside. To make the spiced butter, place the butter and olive oil in a frying pan over medium low heat and cook the shallots for about 10 minutes, or until they soften and the butter browns just a bit. Stir in all the spices, the salt, and a bit of freshly ground black pepper, and keep warm. 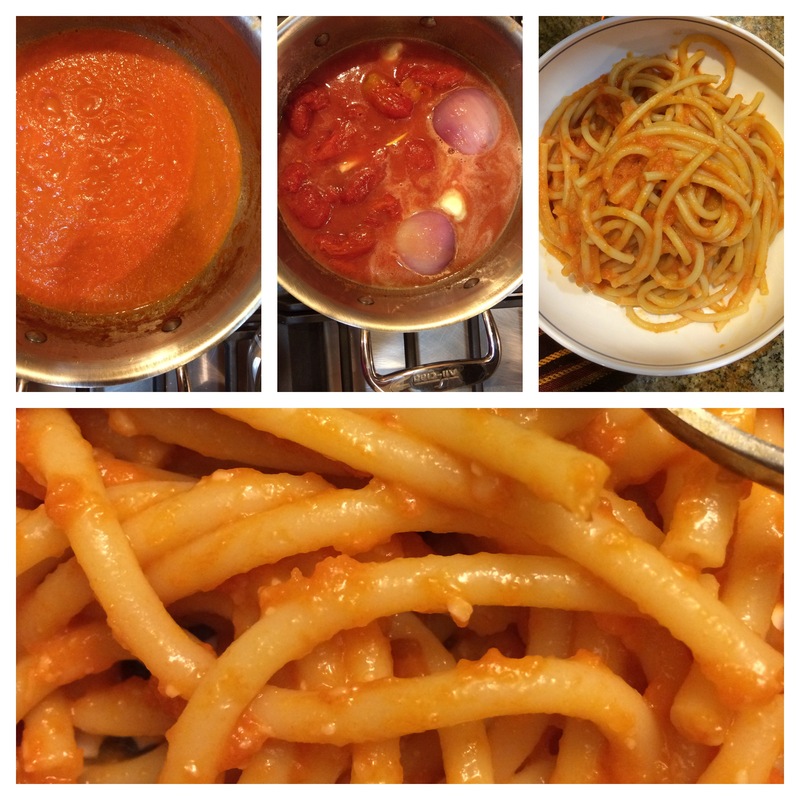 Salt the water generously and cook the pasta until al dente. Barely thirty seconds before the pasta has finished cooking, add the asparagus. Drain and return the pasta and asparagus to the pot. Stir in the saffron salt. Pour the spiced butter over the pasta, add a small splash of cream, and toss well. 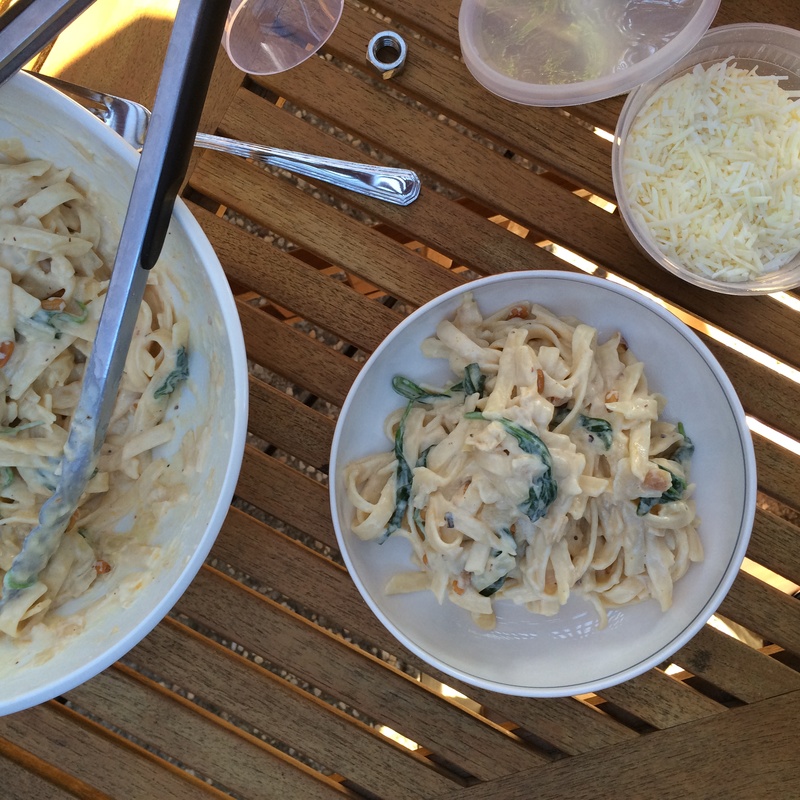 Serve the pasta in a large bowl, or divided across plates, sprinkle with pine nuts and mint.